It’s not all happy down in the woods; desease and deprivation are happening, and on a big scale. 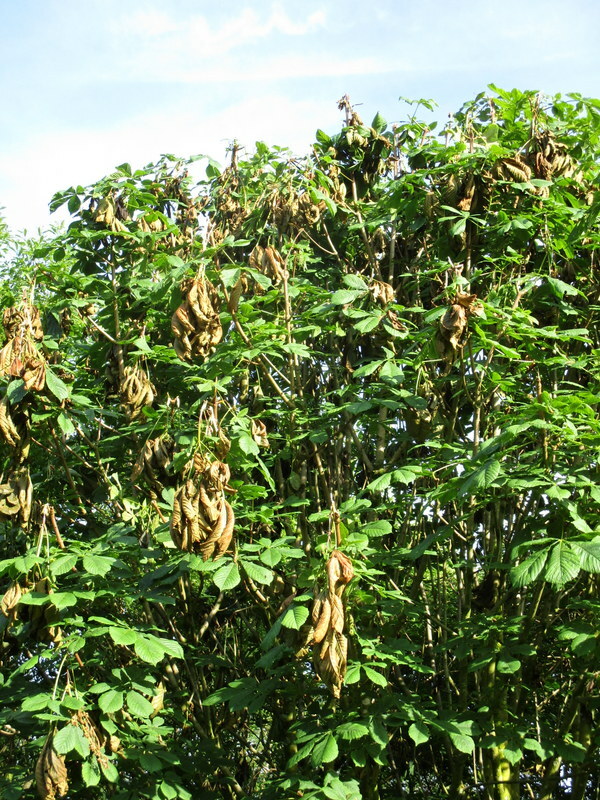 The Woodland Trust have highlighted the increasing problem of ash dieback. It is not a small problem, look at the hedgerows, particularly here in Somerset, then think what the hedgerow would be with all ashes eliminated – and that’s just the hedgerows; the woodlands have a large populations of ash. The woodland we planted in 2001 – some 900 trees – is thirty percent ash. Young trees suffer a lot of depredation from the big herds of deer in the country nibbling or pulling on branches to break off new growth. And this year our horse chestnut trees suffered greatly attacked by squirrels pulling at the early season growth, breaking the young branches seemingly to get at the buds, obviously nutritious, but devastating for the trees. And then came the gales! We like deer and squirrels… and trees, but not gales.